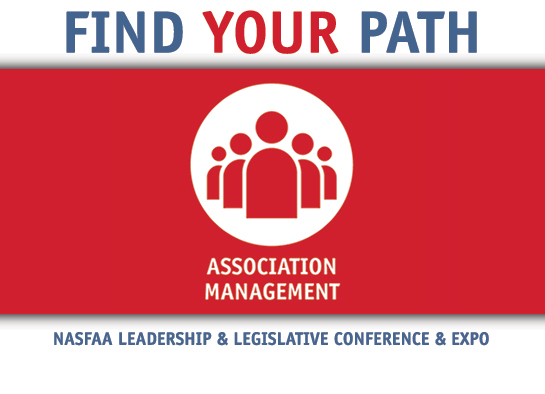 Annually at the NASFAA Leadership & Legislative Conference & Expo, attendees can choose from four pathways for two days of sessions and networking opportunities with fellow leaders from institutions from all over the country, providing a national perspective in an intimate setting. An additional day on Capitol Hill gives participants the unique opportunity to interact with lawmakers and staff to advocate on behalf of their students. More information regarding the 2020 Conference & Expo will be posted in the fall. Thank you for joining us! See you next year, February 3-5, 2020. Get more information on the sponsors and exhibitors that were at the 2019 Conference & Expo. Attendees were encouraged to participate in meetings with their delegation on Capitol Hill. Take a look back at the agenda and sessions for the 2019 Leadership & Legislative Conference & Expo.